Fox Valley Metrology (FVM) calibrates handheld instruments that are used in the production of precision equipment. The Oshkosh, Wisconsin-based company operates an accredited calibration laboratory and repairs measurement instruments such as bore gages at customer locations. To maintain the accuracy of these handheld instruments, FVM uses the Diamond Flex-Hone® tool to correct surface imperfections.Made in the USA by Brush Research Manufacturing (BRM), this diamond honing tool is ideal for deburring and surface-finishing cylinders made of harder materials. Compared to other technologies, flexible honing is also faster and less expensive. 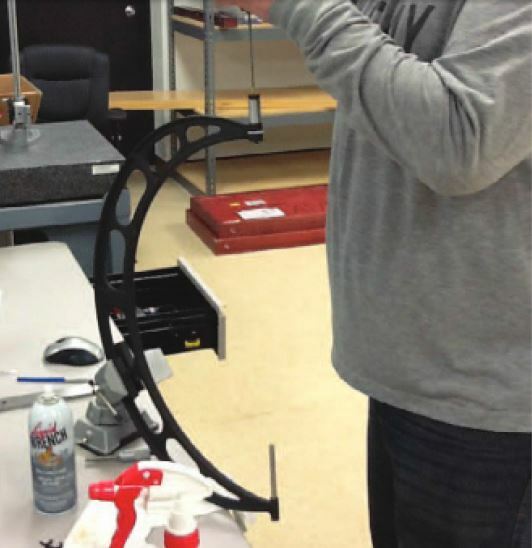 Repairing instruments that require precision machining can be challenging. According to Lucas Stuhr, manager of hand tools at FVM, micron-level accuracies are required. In an article for Industrial Machinery Digest, Stuhr described the company’s search for a way to provide more efficient repairs. FVM evaluated several technologies, but ultimately chose the Diamond Flex-Hone® for cylinder deburring and surface finishing. “All of the handheld instruments are subject to wear and tear,” Stuhr explained. “If any of them develops an imperfection, such as a burr or scratch in a crevice or cylinder, we want to have the right tool available to correct that imperfection.” Diamond anvils and diamond turning tools can improve the surface finish of harder cylinders, but they have important drawbacks. For example, micro-finishing with a diamond anvil requires taking the instrument back to a shop, where a technician uses flux and turns the anvil against the sleeve. Removing an instrument from service reduces the customer’s capacity – often for several days at a time. Diamond turning tools also have their drawbacks since these high-end machine tools can cost as much as $15,000 per unit. Unlike diamond anvils and diamond turning tools, the Diamond Flex-Hone® supports cost-effective field repairs. BRM’s flexible hone for harder materials also removes burrs and reduces raised areas in just seconds. Diamond-Flex-Hone® tools can be used in a hand-held drill motor instead of expensive equipment, and require no special training or instruction. Because they're built with Flex-Hone® technology, BRM’s diamond hones won’t remove excessive amounts of material - an important consideration in applications where bores need to remain at their precise dimensions. BRM’s diamond tools are also are self-centering and self-aligning to the bore. 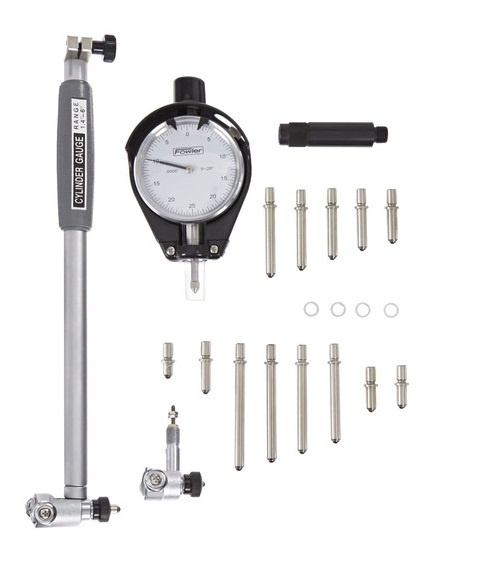 Unlike more expensive tools, the Diamond Flex-Hone® doesn’t require constant alignment. 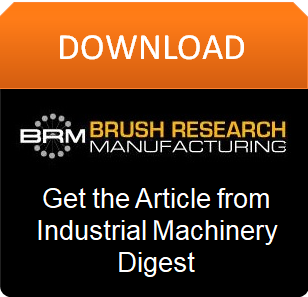 As Stuhr says, BRM's diamond honing tool can handle “any materials we throw at it”. That’s why FVM and other organizations, such as Keck Observatory in Mauna Kea, Hawaii, use the Diamond Flex-Hone® with harder materials such as carbide and optical glass. BRM's diamond tools come in standard sizes from 4 mm up to 38 mm in diameter, and can achieve very fine surface finishes. Would you like to learn more about how FVM uses Diamond Flex-Hone® tools to improve the surface finish of small cylinders made of harder materials? Then download Diamond Flex-Hones Make Cylindrical Surfaces Shine, an article from Industrial Machinery Digest magazine.